A gallery of many examples of high quality completed projects, information about Redditch Bathrooms and Kitchens, a Services Page detailing the types of skills and services available, and a secure online contact form to get in touch. With all these in his toolbox, combined with good SEO, Daryl Crump of Redditch Bathrooms makes his dream space a reality…but this time on the web! Branding and logo design also by Pedleyonline. Websites for Tradesmen such as plumbers, electricians, gas fitters, builders, decorators, gardeners all available at Pedleyonline. 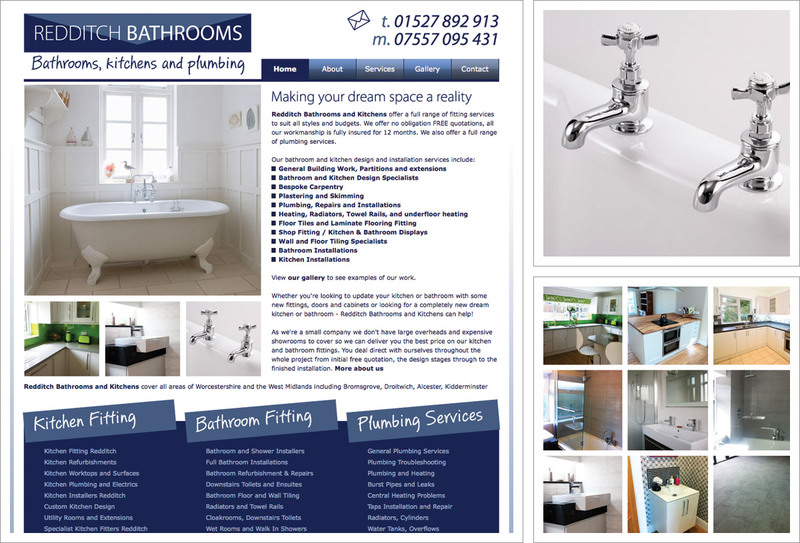 Read more about Redditch Bathrooms on our Web Design and SEO Blog.